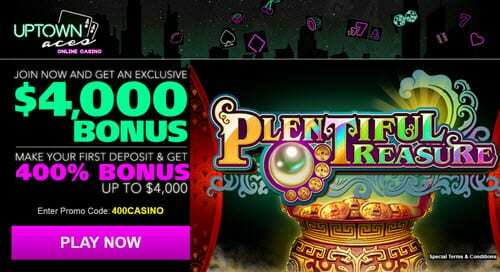 Plentiful Treasure is a slot game provided by Realtime Gaming that comes with a maximum payout of 50,000x bet per way. The slot offers 243 all ways paylines, plenty of free spins, multipliers, free spins and bonus game. In this exhilarating and thriller game, the only thing standing between you and vast treasures is your ability to please the Chinese gods. The slot game draws its inspiration from the ancient China and is characteristic of many interesting and breathtaking bonuses and perks including jackpots. There are four gods that are present in the game, each standing for a distinct jackpot. Before you can lay your hands on any of the jackpots, the Gold Coin feature has to be triggered by all the spinners. 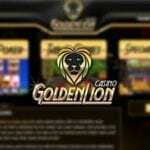 In addition, the Free Spins feature comes with plenty of well-paying features. If you are able to locate the Pearl, you wins will receive a 5x boost. You should also aim at taking advantage of the 243 all ways paylines to enhance your chances of striking more wins. Bao, a Chinese version for treasure, is one of the most important symbols. This symbol acts as the Wild when it appears on reels 2, 3 and 4 with the capacity to substitute all other regular symbols. The second wild is the Pearl that brings along with it a 5x multiplier although it only appears on the third reel and cannot be used to substitute for the Bao and the Tripod, which takes the place of the Scatter, which triggers freebies. There are a total of 9-A playing cards as well as four god symbols necessary for the Gold Coin Feature. Other symbols include Teapots, Rings, Bowls, Caskets, Necklaces and other symbols typical of the Chinese folklore. The slot utilizes all the 243 paylines, five reels and three rows to give rise to an interactive gameplay. The payouts start from the left heading to the right, starting with the far left reel, where three of the kind must be aligned for a payout to be made. 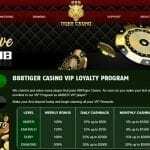 The betting range is still not yet known, as the 2018 slot game is yet to be launched. However, it is clear that the command list is one of the easiest to use considering all the useful options and information nicely organized on your right hand side. Plentiful Treasure was first offered at brick n’ mortar casinos. However, with the astound efforts by Realtime Gaming, the 2018 release is slated to go online. Better still, the online version shall be accessible across all devices including mobile handsets and tablets. Regardless of the device, the quality of the slot remains constant and boasts of stellar graphics. The mobile version can also be played using both the landscape and portrait options. Plentiful Treasure is the ultimate punter’s choice. It offers four life-transforming jackpots, 5x multiplier Wilds and free games that come with the high-value symbols. In terms of payout, you stand a chance of taking home a whopping 50,000x the amount of bet per way, all this in just a single spin.